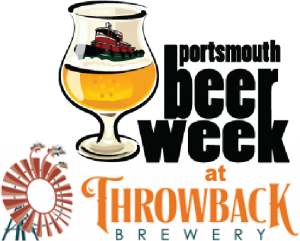 The 10th Annual Portsmouth Beer Week is just around the corner! This 10-day celebration of the local craft beer scene is filled with lots of new and interesting beers, entertaining activities, and craft beer camaraderie. As always, we’ve planned a variety of events for this special week, with an eye on having something for everyone. Whether you like sour beers, creole food, nitro and cask beer, fondue, chocolate & cheese, or just plain lovingly made craft beer, you are going to want to read on! 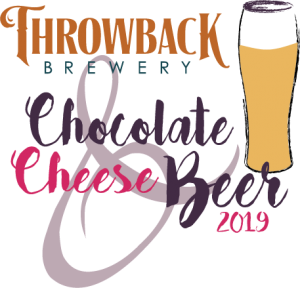 Oh, and, as a ‘heads up’, our annual Chocolate, Cheese, and Beer event has a history of selling out, so don’t delay – get your tickets today. Join us and our other Seacoast brewery friends as we take over the taps at WHYM for the ultimate Portsmouth Beer Week kickoff! Our favorite way to explore the aroma and flavors of beer – come experience how three different ways of delivering the same beer can change the character and nuance of the style. Try our brand new Small, Dark, & Handsome Milk Stout on cask, on draft, and on nitro, and conduct your own taste test – side by side by side. This creamy session beer boasts a huge chocolate aroma, an ultra smooth and big body that belies its 2.3% ABV (yes, 2.3%! ), and a dry & roasty finish. Vote on which version of Small, Dark, & Handsome you like the best, and we’ll take a dollar off your next pint! Not to be outdone, our kitchen always rounds out the fun, bringing you Hot & Sour Soup and a Sour Cherry pastry for dessert! Who knew sour could be so sweet? Ah, chocolate, cheese, and beer, how we love thee. It’s been a long love affair for our team with these scrumptious food staples, and, now its going to be eight years of us holding an event where we challenge ourselves to push the culinary possibilities of pairing hand-crafted chocolate and thoughtfully selected cheeses from local New England and NY artisans with our farm-fresh beers. While we are still selecting the beers and crafting the menu, you can expect three courses plus an Amuse-bouche that weave together chocolate and cheese into new and memorable combinations. Last year’s menu featured a cheese soufflé, a house-made chocolate cruller, fried cheese curds with muhammara, a cheese ball encrusted with Enna Chocolate cocoa nibs, whipped hop honey, several pieces of our favorite cheeses, and more! Tickets are just $45 (plus tax and gratuity). We’ve made tickets available online – click here to purchase. Or, you can buy your tickets here at Throwback Brewery during our open hours. Or, if you feel more comfortable, please call 603-379-2317 or email [email protected] and let us know how many people in your party, as well as your phone number. We’ll call you back and get you squared away! Please note that this event has a history of selling out, so grab your seat today! Laissez les bon temps rouler! Practice your Mardi Gras moves a few days early as we bring New Orleans north. We’ll be featuring a special Hurricane Sour served via cask and our favorite Creole food specials all day. Po’ Boys and lots of beads? Yes please! Throw on your best retro ski togs and join us for an old school après, including a prize for the most radical outfit! Warm up by our beer garden fire pit with a hot buttered rum or cozy up inside with some 70’s style Cheesy Fondue and pint of our new Cream Ale – a nostalgic style updated for 2019. Who says you have to ski to enjoy the après?